Cervical spondylosis is a degeneration of the joints in the neck, where there is abnormal wear on the cartilage and bones. It is a form of arthritis, but rarely becomes crippling or disabling. It is a very common cause for long-term neck pain. It is estimated that more than 85% of people over 60 are suffering from it. 3) lumbar spine (lower back region), comprising 5 vertebrae. The vertebrae are joined to each other via ligaments. In between, there are intervertebral disks, which consist of jelly-like material encased by a fibrous ring. This helps cushion our spine from external forces. These disks degenerate and lose water content as a result of age. The facets of the vertebrae experience increased pressure and start to degenerate too. The cartilage wears away. Bone rubs on bone. As a result, arthritis develops. Our body may respond to this increased pressure by trying to grow new bones in the facet joints, resulting in an overgrowth of bone, called Spurs. These spurs may press against our spine, compressing the nerves in our spine, causing pain. headache which starts at the back of your head. you have injury eg. from car accident. Drugs and aspirin only provide pain relief without attacking the underlying causes of the disease i.e. the loss of cartilage and oxidative stress. Furthermore, they cause many side effects. 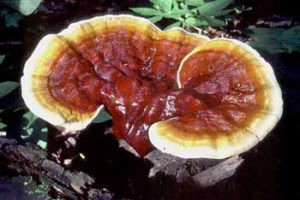 A Safe and Effective solution is a combination of Lingzhi (Ganoderma) and Vitaking collagen. Vitaking collagen contributes to replenishing mucopolysaccharide and chondroitin sulphate in our cartilage to help repair cartilage tissues and safeguard their regenerative functions. Vitaking also reduces friction between the vertebrae and produce new bone tissues to protect the joints and preserve skeletal health. If you have been tormented by a pain in your neck, here is an answer that works. Please email me at laifuiping@gmail.com to buy. I am an Authorised Distributor of these products.